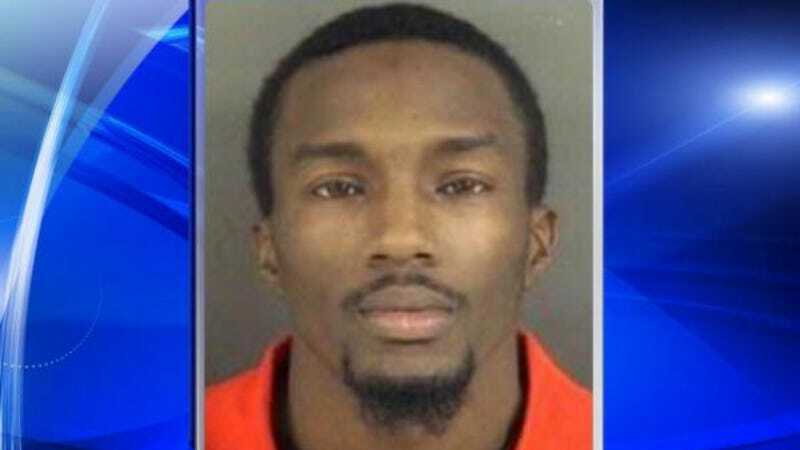 Vincent Jarod Williams was pulled over in 2010 for running a red light. Once stopped, police found drugs in the car along with his five-year old son. Then the son told them he was only given the gun. Yeah, Williams is going to jail for a while. The exact chain of events is that Williams ran a red light in Raleigh, NC in 2010. When he was stopped, the police saw some drugs, which is a bit of a red flag. His five-year old son was in there crying, not surprising since it didn't really sound like that pleasant of a place to be. When cops went to remove him, the child told them he was sitting on the gun. The gun was loaded and had a bullet in the chamber with the safety off. So Williams has been sentenced to 105 months in jail for that. And if you're going to hide a gun in your car, don't keep it loaded under your son. Pro tip.